What foods did I eat--did I eat too much or too little today? What kind of exercise did I do ? What was my activity level today? How was my sleep last night? What was the weather today? What medications did I take/withhold today? What was my pain level today? 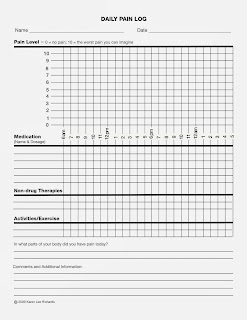 By keeping track of these various things in your day, you may actually be able to see what kinds of things help or hurt your pain control efforts, and identify triggers and patterns unique to your situation. A pain diary is a good way to accomplish this goal. 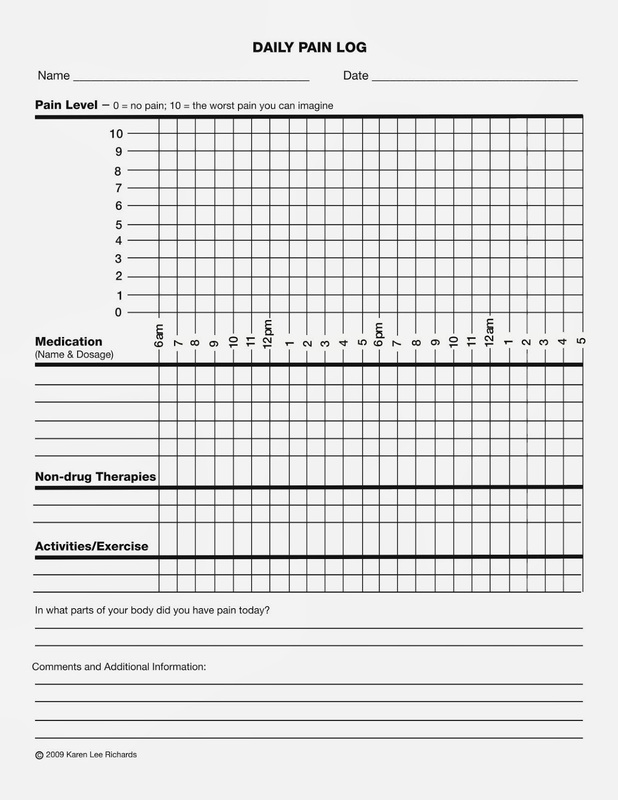 You can create your own pain diary from a notebook, or you can use a form like the one below that I found on Healthcentral.com. Your doctor's office may also have resources like this for you to use. Last but not least, there are smart phone and iPad apps for those who prefer technology.